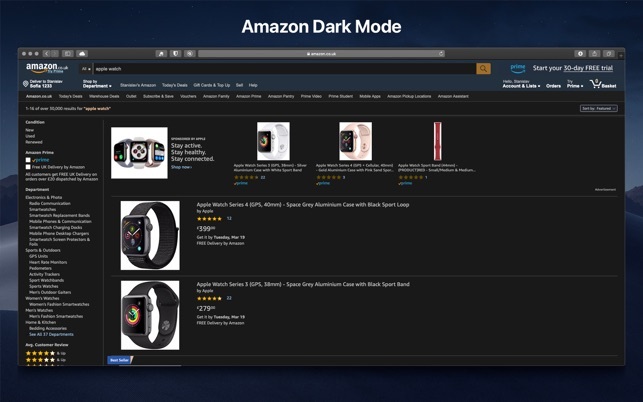 Open the Mac App Store to buy and download apps. 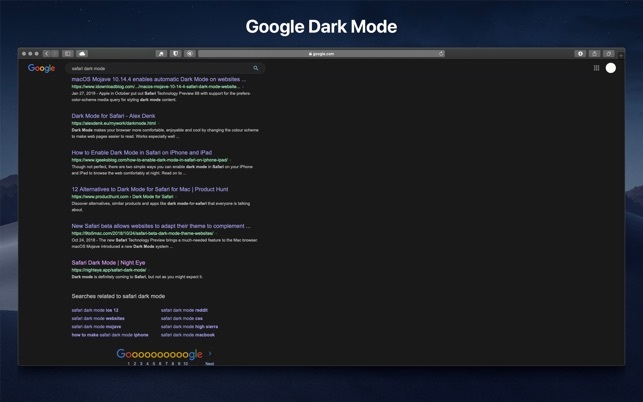 Night Eye enables Dark Mode on all websites while you browsing the Internet. We are using new algorithm that analyses and converts all colors instead of just inverting them. 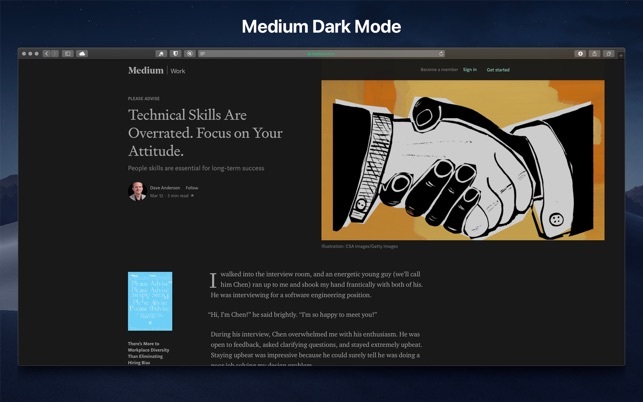 Instead of simply inverting, the extension analyses the pages’ colors and images and converts them to improve your browsing experience. 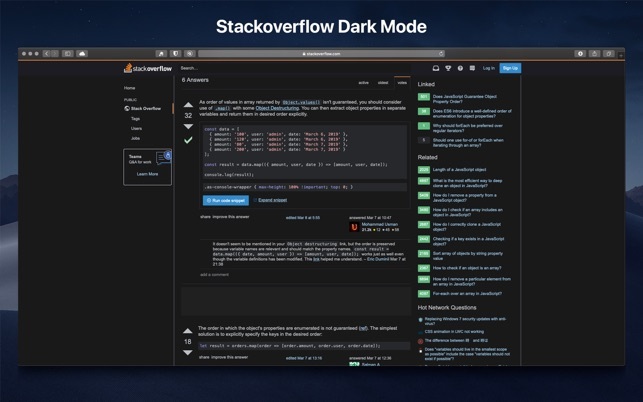 - Dark - Go into complete dark mode. 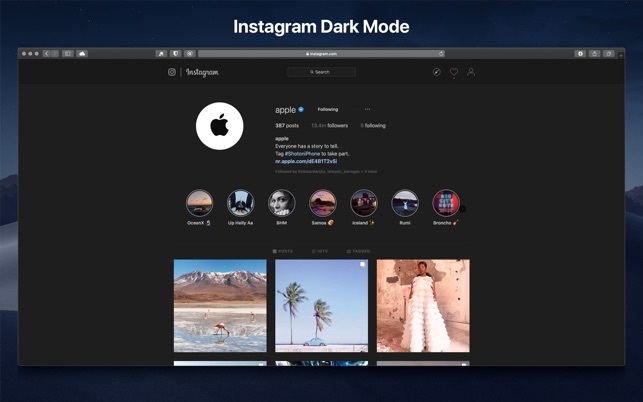 All colors, small images and icons will be converted to give you the smoothest dark experience possible. - Filtered - The websites' colors will not be changed, but you can still adjust brightness, contrast, warmth and more. - Normal - Get back to the normal browsing experience. Any modifications you make such as contrast level adjustment, colors and etc. can be applied to a single website or globally. 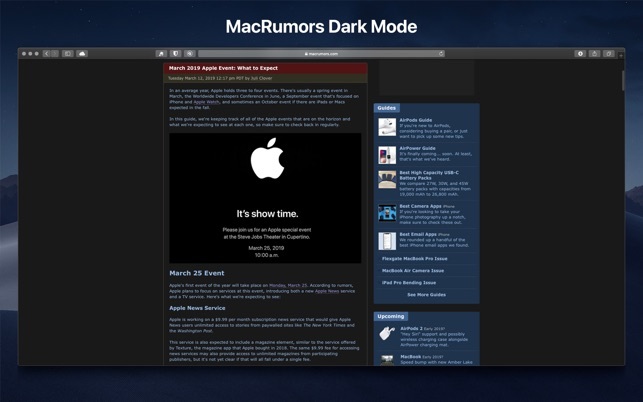 - Colors - Reinvent your browsing experience by changing any color on any website. You can customize a single website or all with couple of clicks. 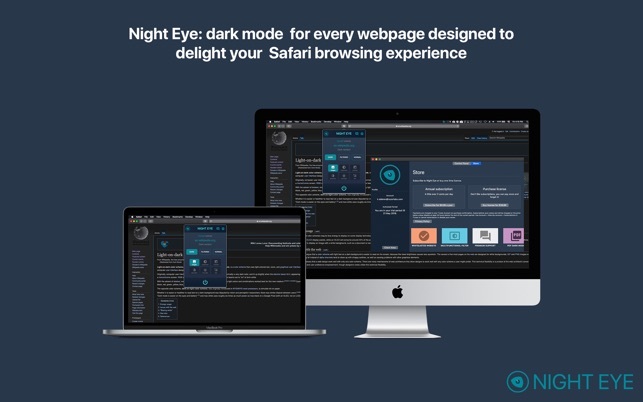 - Images - Night Eye analyses and converts only the small images and icons in a website to give you even smoother experience. Facebook posts and other significant media is not converted. - Blue Light Filter - Take care of your eyes by eliminating the blue light coming from your screen. Highly recommended especially during late night browsing. Simply slide to the preferred level of warmth. -Dim Filter - Extremely useful if you are working in dark space/room and the screen is the only source of light in the room. The default setting is set to 50%, but you can customize it as you please. - Scheduled on/off - Automatically start and stop Night Eye at appointed time. Built-in support system - we take pride into being available to provide reliable support and help you with any problems or issues you might experience with the extension. We do NOT collect anonymous usage data using an industry standard third party analytics while using the extension. We only store the saved settings for each visited website of each Night Eye user in their localStorage (your computer). 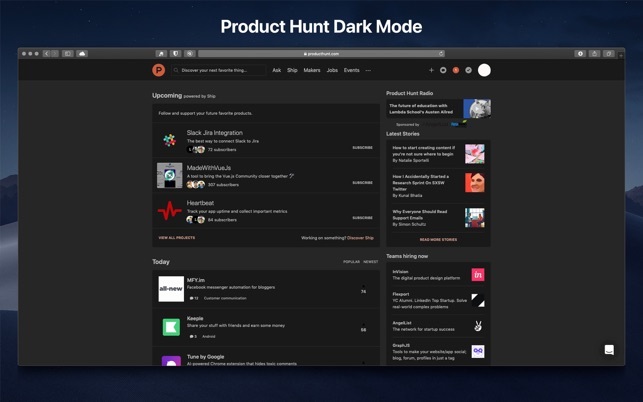 This relates to all adjustments made by the user to improve their browsing experience through the use of Night Eye. There are 7 types of adjustments: Colors, Images, Brightness, Contrast, Saturation, Cold/Warm and Dim. In other words - we only store any visual adjustments you made while browsing the internet. We do not store them on our servers, but rather in your localStorage (your computer). 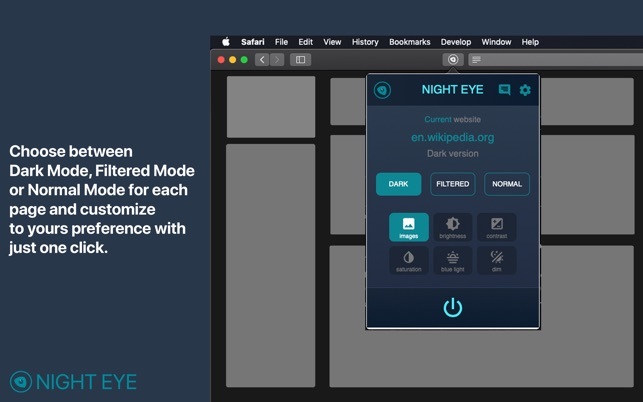 With every update we are improving and refining Night Eye. We want to thank our community for being so awesome. Keep it up and contact us for new ideas and bugs you have found. We have described that the app require payment after 3 months. If you have suggestions about how to comminicate better this information - please contact us with inner build in chat, we are open to new suggestions. You have two options after 3 months of free pro plan: purchase yearly subscription or purchase one time license(which won't expired). 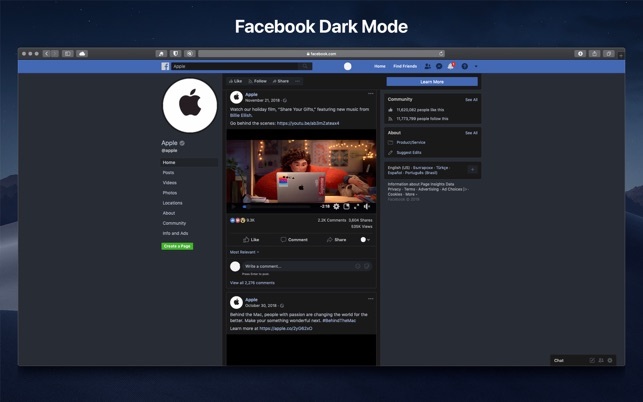 But if you don't like either option, we a planning to include "lite" version in the incoming weeks that can be activated after the 3 months had past. Hope that we have been helpful. If you have any other suggestions please contacts us.